You cannot add "Luvabella Doll - Blonde Hair" to the cart because the product is out of stock. 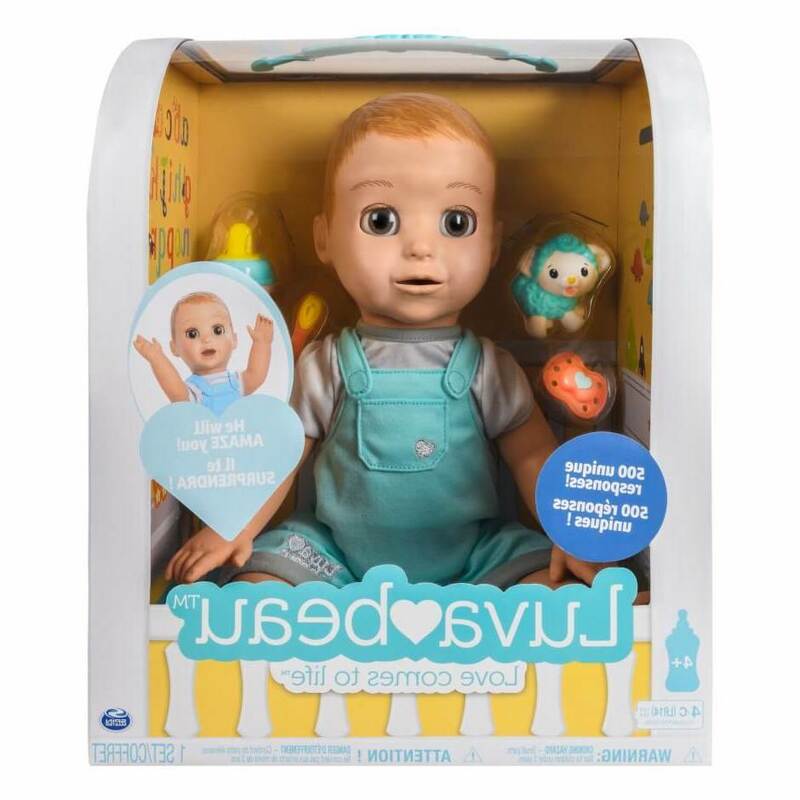 REAL BABY EXPRESSIONS AND MOVEMENT: Discover so many real baby surprises with Luvabeau! 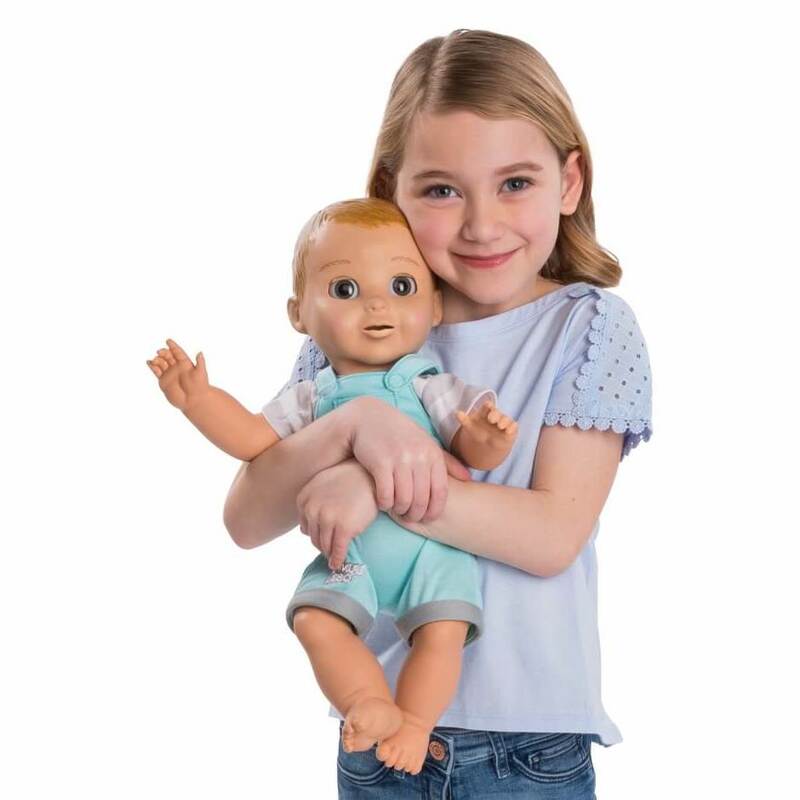 This adorable interactive doll amazes children and parents alike with his real as can be facial expressions and natural movement! Play and interact with him in so many ways! OVER 100 WORDS: The more you play with Luvabeau, the more he learns! As you interact with him, he’ll expand his vocabulary, saying over 100 words and complete phrases! 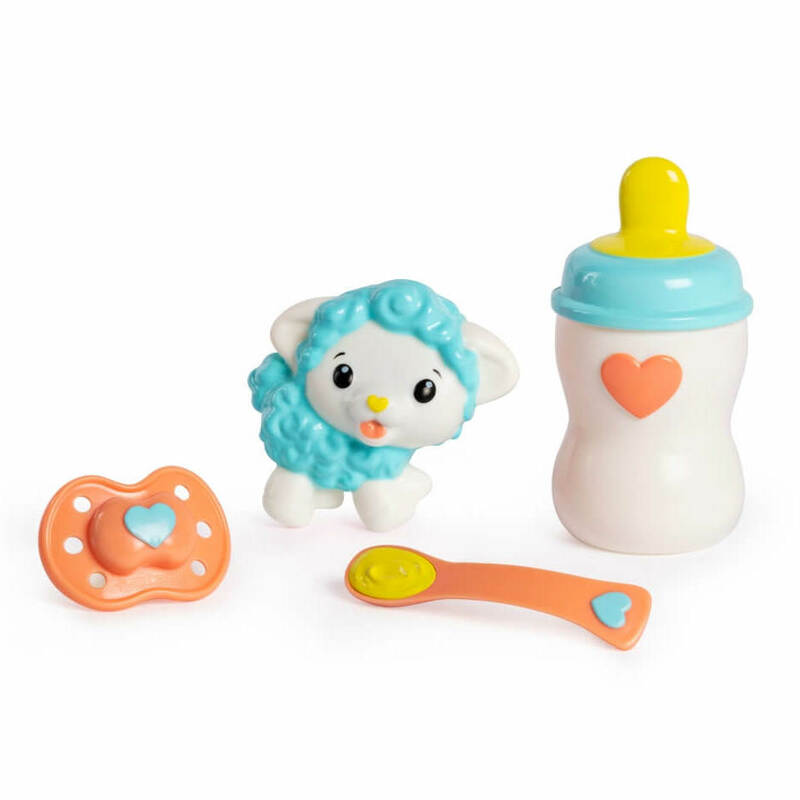 4 INTERACTIVE ACCESSORIES: Play with Luvabeau using his interactive accessories, such as the spoon, bottle, pacifier and Lamby toy. 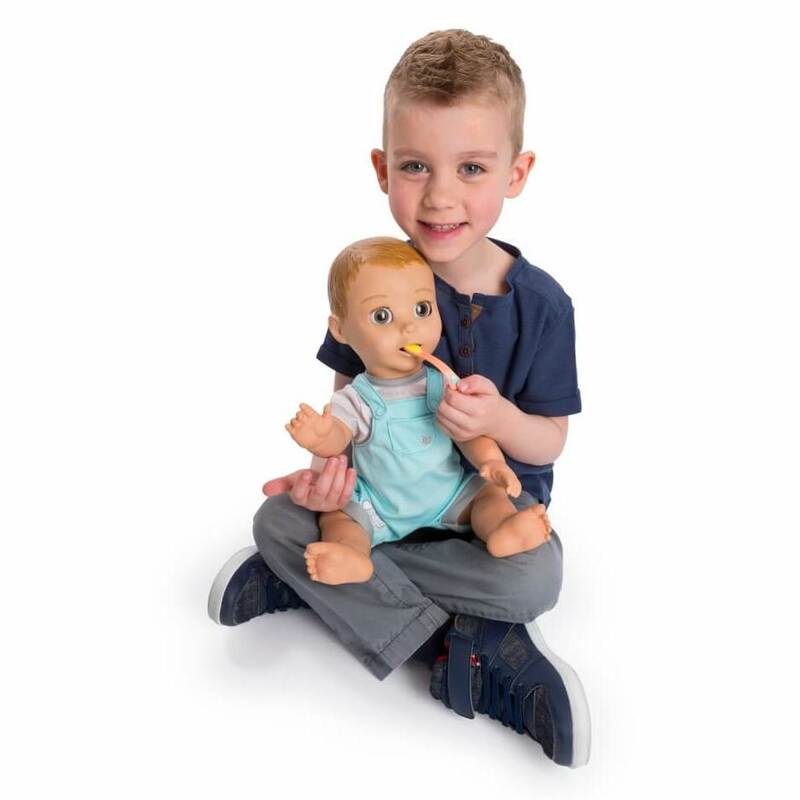 Kids can have a natural loving experience as they feed, burp, soothe and play with their own baby! Luvabeau is made for kids aged 4+. 4 C cell batteries required (not included). Discover all there is to love about Luvabeau! 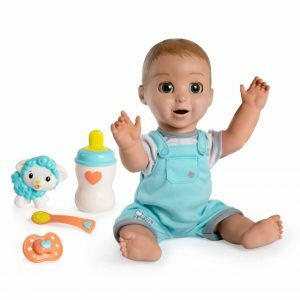 From the moment he opens his eyes and giggles, this interactive baby doll will amaze you with his real as can be facial expressions and personality! 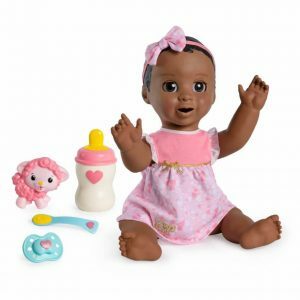 A delight for kids and parents alike, Luvabeau moves, talks and plays just like a real baby! Through touch, he affectionately responds to your love! Cover his eyes for a game of peek-a-boo, tickle his tummy and toes to hear his giggle, or place a hand on his chest to gently listen to his heartbeat. The more you play with him, the more he learns! He can even speak over 100 words and phrases! 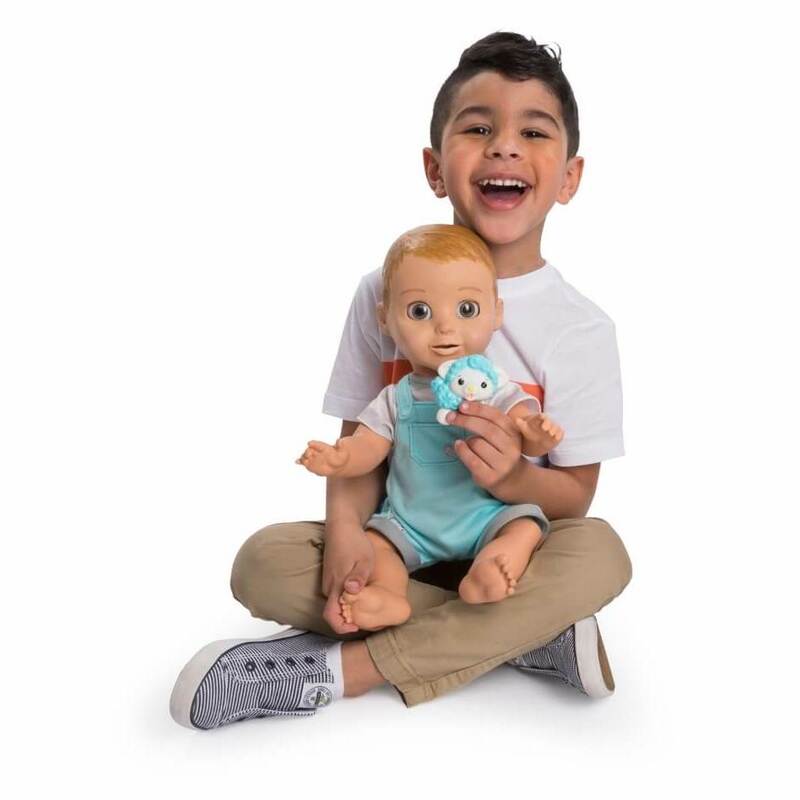 Caring for Luvabeau is fun with his four interactive accessories. Use his spoon to feed him and he’ll chew with delight! If he’s not full, he may ask you for more. After his meal, help Luvabeau learn new animal names and sounds with his Lamby toy! If he gets fussy, all he needs is his soother. When it’s time to go to bed after a big day of play, give him a bottle and lie him down. Just like a real baby, he needs your help to fall asleep! Rock Luvabeau until he slowly closes his eyes. 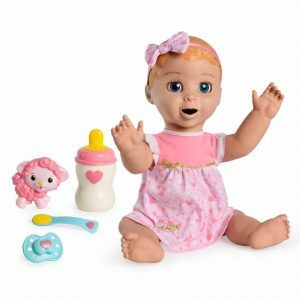 Real as can be, Luvabeau has so many baby surprises to discover! Bring love home today!